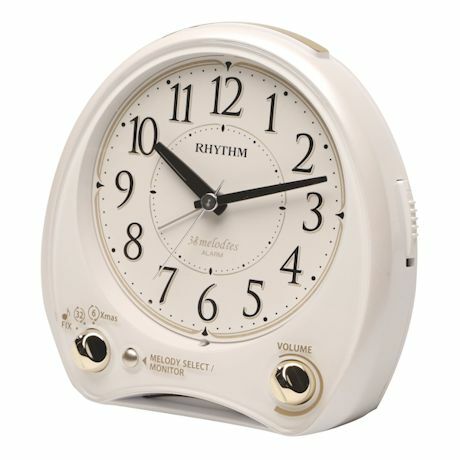 This multi-functional clock is equipped with a music-fix function that allows you to pick the melody you'd like to hear every morning, playing one of the 38 melodies, or choose to rotate through them. Includes a snooze button and light. Battery operated quartz movement. 2 AA batteries included. Plastic. 5¼" x 5½".